The purpose of the study was to evaluate the effects of an intervention on single-word recognition. The intervention used an AAC app programmed with video visual scene displays (VSDs) embedded with hotspots with the Transition to Literacy (T2L) feature. 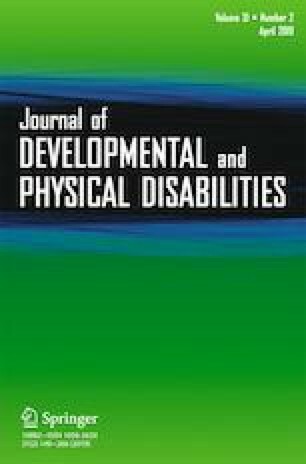 Three school-aged children with multiple disabilities who had limited speech and limited literacy skills participated in a multiple baseline across participants design. Four names of characters in favorite movies and shows served as target words for each participant. All three children demonstrated an increase in accurate identification of target words from baseline to intervention. Tau-U effect sizes for the three participants were 0.69, 0.76, and 0.84, all of which were statistically significant (p < 0.05). Professionals can consider including the intervention evaluated in the current study as one component of literacy intervention for school-aged children with multiple disabilities. Future research should further evaluate video VSDs and the T2L feature for use with individuals with multiple disabilities. This work was supported by the National Institute on Disability, Independent Living, and Rehabilitation Research (NIDILRR) under grant number #90RE5017 to the Rehabilitation Engineering Research Center on Augmentative and Alternative Communication (RERC on AAC). The video VSD app, the AAC technology utilized in the current study, was developed by InvoTek, Inc. under the RERC on AAC. All procedures performed involving human participants were approved by the first author's institutional review board. Informed consent was obtained from a guardian of each of the participants. Holyfield, C., Caron, J. G., Drager, K., & Light, J. (2018a). Effect of mobile technology featuring visual scene displays and just-in-time programming on communication turns by preadolescent and adolescent beginning communicators. International Journal of Speech-Language Pathology. Advance online publication, 1–11. https://doi.org/10.1080/17549507.2018.1441440. Light, J., McNaughton, D., & Jakobs, T. (2014a). Developing AAC technology to support interactive video visual scene displays. RERC on AAC: Rehabilitation engineering research center on Augmentative and Alternative Communication. Retrieved from https://rerc-aac.psu.edu/development/d2-developing-aac-technology-to-support-interactive-video-visual-scene-displays/. Accessed 24 Jan 2019.